Not all sheds are created equal. Some sheds are cheaply produced and will fall over with a light breeze, while others are built tough enough to survive armageddon. So before you choose your new shed we suggest you ask these five, easy but important questions to your shed builder. 1. DOES THE STEEL IN MY SHED MEET AUSTRALIAN STANDARDS? Most sheds are designed and built in Australia. However there are instances that the shed and the steel might be made somewhere else. In situations like this, we want to make sure that the steel meets local standards so it can stand against local weather and climate conditions. When materials meet the code, the building will meet the standard set by the Building Code of Australia. We at Real Aussie Sheds will always bank on steel made by Bluescope Steel. It’s 100 percent Australian made and guaranteed to meet or exceed Australian Standards. 2. WILL MY SHED STAND UP TO AUSTRALIA’S HARSH CONDITIONS? Around Australia scientists have been testing steel products for over 45 years in some of the country’s harshest climatic conditions. 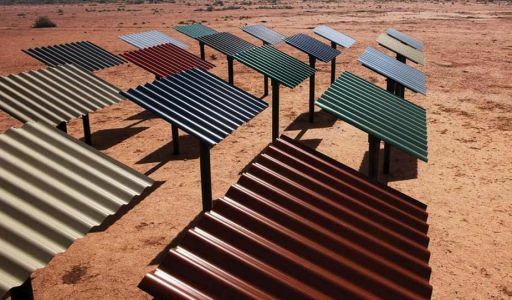 Australia has some of the highest UV levels in the world, which can play havoc with painted steels. 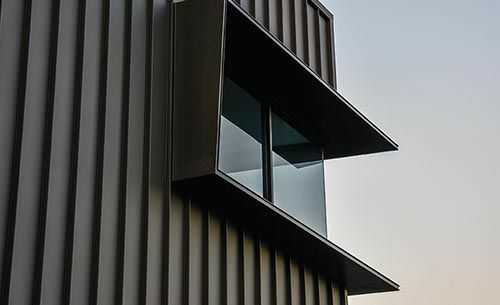 In fact, AS2728 requires pre-painted steel used in buildings to be tested in designated extreme climates throughout Australia, including sunshine exposure sites. And as required by the Standard, testing is conducted for performance attributes such as blistering, cracking, flaking and peeling. In other words, Colorbond steel is tested against defects that you do not want to see appearing on your shed. Can you be sure this testing has been performed on pre-painted steels made in other countries, to foreign standards? So ask your shed supplier how they will ensure your shed has been designed to suit your specific circumstances. For many of us, our sheds are there to provide shelter and protection for the things that are important to us. Whether it’s for our home, farm or business, sheds are there to keep our important belongings safe and sound. And for many people their shed can be their third biggest investment, behind their house and car. That’s why it’s so important to ask the right questions and get the right shed for your needs.